Right, this is the last post for a couple of weeks at least because the Easter holidays have now begun! I thought I'd leave you with this wonderful picture of the Blue Abyss display board. 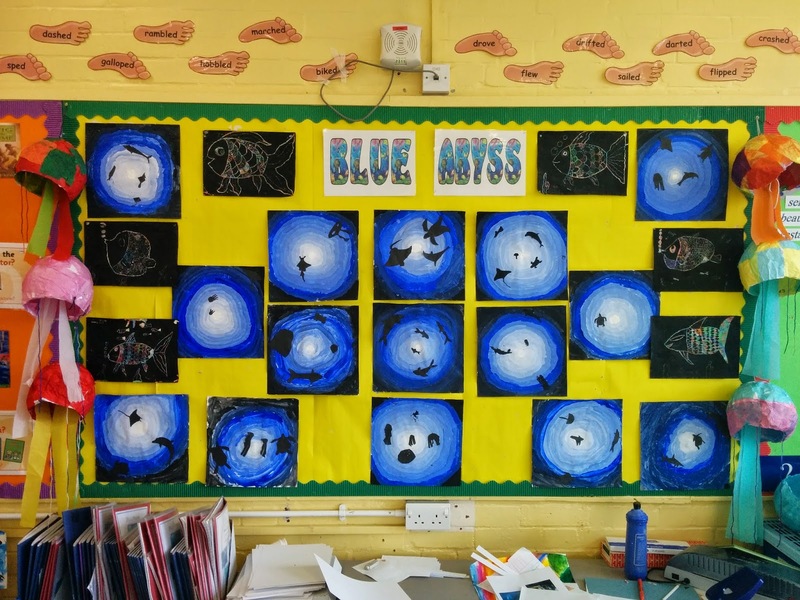 There are a few examples of our Blue Abyss paintings, jellyfish and bioluminescent fish. 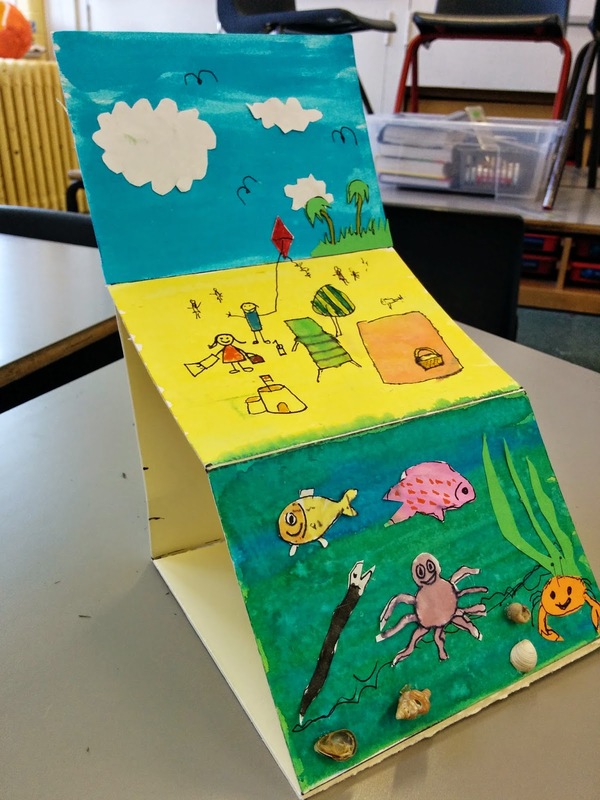 I will definitely be using this project idea with a future class of mine!